On a visit to Istanbul, Victoria was received by His All-Holiness the Ecumenical Patriarch Bartholomew received Victoria. 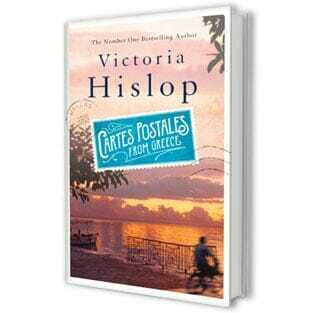 They discussed her novel, ‘The Island’ and the television adaptations which, following it’s stunning success in Greece is currently being broadcast in Turkey, and Victoria presented His All-Holiness with a copy of the book. Their conversation also ranged widely over issues concerning the life and work of the Mother Church of Constantinople. Victoria Hislop was accompanied by TV producer Nicholas Elmatzioglou and his brother, businessman Chris Elmatzioglou.